• 19.00 CET, Moldova, National preselection, 1st semifinal, online. Alina Sorochina, Vlad Ray, Rodica Olișevschi, Carolina Gorun are out. Watch show on demand here and separate videos of performances here. • 20.00 CET, Greece, Eurosong 2014 - a MAD show, Final, DT, online, Eurovision.tv. Freaky Fortune feat. Riskykidd will represent Greece with Rise Up. • The latest is that presentation of Georgian entry may take place on Friday. This still is a preliminary information. • English version of Montenegro entry "My Love" presented. • Full televoting results of Swedish Melodifestivalen shows revealed. • Ruth Lorenzo Spain has filmed her Eurovision postcard. • 20.05 CET, Norway, Melodi Grand Prix, 3rd semifinal, NRK1, online. Last finalists are Elisabeth Carew, El Cuero and Carl Espen. Watch the show again here. • 20.30 CET, Belgium: "Eurosong", 3rd semifinal, Eén, online. Axel Hirsoux and Bandits to the final. • 21.15 CET, Montenegro: Entry presentation, RTCG1, online, Eurovision.tv. • 20.00 - 21.30 CET, Slovenia: "EMA", Final, RTVSlo1, online, Eurovision.tv. Tinkara Kovač will represent Slovenia with Spet (Round And Round). Watch show on demand here. • 20.00 - 22.00 CET, Sweden: "Melodifestivalen", Final, SVT1, SVT Europa, online. Sanna Nielsen with Undo wins in Sweden. • 20.00 - 22.20 CET, Denmark: "Dansk Melodi Grand Prix", Final, DR1, online. Basim wins with Cliché Love Song. • 20.55 - 22.00 CET, Norway, Melodi Grand Prix, 2nd semifinal, NRK1, online. Charlie, Oda & Wulff and Knut Kippersund Nesdal qualify to the final. • 22.20 - 00.30 CET, Portugal, Festival da Cancao, Semifinal, RTP1, RTP int, online. Catarina, Raquel Guerra, Rui Andrade and Suzy qualified to the final. • 20.05 CET, Norway, Melodi Grand Prix, 1st semifinal, NRK1, online. Qualifiers: Dina Misund, Linnea Dale and Mo. • ESCKAZ live at Melodifestivalen: Interviews with Ace Wilder, Sanna Nielsen, Alcazar. Dress-rehearsal photogallery. • Entry of Montenegro "Moj svijet / My Love" will be presented on Sunday at 21.15 CET on RTCG 1 special. 1800 square meters - so big is the tent, which has just been raised behind the B & W Halls, and which will serve as the backstage area during the Eurovision Song Contest in May. says production manager Sisse van Wylich-Muxoll from DR. She is responsible for coordination of the conduct of the show. On Monday she with her full team will move from DR Byen to the trailers on Refshaleøen. Among other shows she has experience of working as production manager with Kongerigets Klogeste, Talent, Zulu Awards and Danish Music Awards. "Eurovision is ten times bigger than anything else. And instead of one show, we have three plus six rehearsals, which the audience will attend as well", says Sisse. • Presentation of Armenian entry set for March 14, 40-minute long special on 1st channel of ArmPTV at 19.00 CET. • Band "Soprano 10" confirm entering Russian preselection, no confirmation on participation of Sergey Lazarev yet, or decision from Russian broadcaster. • ESCKAZ live at Melodifestivalen: Interviews with Oscar Zia, Ellen Benediktson. • 10.00 CET, Greece, songs presentation, DT, online. Watch the songs also on MAD TV Youtube. • 20.00 CET, Israel, Way To Copenhagen, Winning song announcement, IBA1, online. Mei Finegold to perform Same Heart in Copenhagen. "I will never forget the moment when the judges announced me as the winner of "A DAL". Everything was in slow motion and I could hardly hear a sound, you can say I went into shock, I was the happiest person in the world. I proved to myself that dreams do come true, if you work hard and never give up"
"but after writing "Running" I had a change of heart and felt I had to enter with this song. Running is based on a true story. I wrote this song about a childhood friend of mine, and people I have met with similar stories, throughout my life. Unfortunately my friend was victim to child abuse, domestic violence. I wrote this song about their experiences and everything that they went though. I would like to raise awareness to this topic. This is not your typical love song, but we must not forget that this is something that happens everyday, all across the world. I would like for children to know that they don't have to be afraid to ask for help. I am very happy that not only do I get to compete in the Eurovision Song Contest, but my message will reach each and every person that will be watching Eurovision". It was his 3rd year at "A Dal" preselections. Singer says: "It has always been a huge dream of mine to represent Hungary in the Eurovision Song Contest. I think the people saw how bad I wanted this, I never gave up and kept trying. I am very happy that I won with "RUNNING" and not my previous entries. I feel I have more to offer with this song, and a message that needs to be heard by as many people as possible". He chose to write the song in English "Because the lyrics are very important in this song and English is understood in almost every country across the world". There are no plans to bring any changes to the song itself, or to record any other language versions of it. At the national final András performed together with backing vocalists Cselovszky Rozina (another Megasztar participant) and Fedor Kyra, dancers are Kelemen Kata and Kurucz Sándor as well as pianist, Cserpes Zoé - the sister of singer Cserpes Laura. Unfortunately, Zoé will not be able to join András on Eurovision stage, since she is just 15. It is believed that now one of the dancers will play the role of little girl. Otherwise, "it will be pretty much the same as in A Dal with a few changes in the coreography and a lot more movement due to the size of the stage". Asked what is the most difficult thing in the routine, András says: "I made a slight change in my performance, in which I will be sprinting full speed moments before singing the chorus. I guess this will be the most difficult part, but I am practicing everyday and of course staying fit in the gym, making sure I dont run out of breath while singing". "I will do my best and give it my all. I hope I can touch many people’s heart’s with my music and get the message my song has to offer to people all over the world"
András says: "We are planning an international promotional tour. I don’t know the exact dates or locations, but they will be up on my Facebook fan page. Promotion is always very important. Getting your music to as many people as possible and letting them get to know you better as a person, artist, is important". Speaking about other entries he mentioned that: "There are many good songs in the competition, I don’t have a favourite. I love hearing all the different styles of music from each country". The album of the singer is already finished, but there is no release date set yet. There are no plans to release any new songs before Eurovsion. "I love all kinds of music. I wouldn’t say I have a certain style. Im a little bit of everything, RnB, pop, soul, rock, blues, country...", says singer. For the inspiration he looks up to his father Fernando Saunders: "Ever since I was a little kid I admired his work. I always wanted to follow in his footsteps. Many people say we sound alike. The soul in my voice and how I become one with the music while performing is definitely from my father. He is very proud of me right now and that means a lot to me". András' big experience has come from taking part in Megasztar (Hungarian Idol) four years ago. "I remember back then how scared I was on stage, I was always nervous. Thank’s to the show I have lost all stage fright and learned to just relax and enjoy myself"
"I want to say thank you to everyone who supports my dream and believes in me. I will never forget that without you guys I would not be living my dream. I am very greatful and thankful for all of you. I LOVE YOU ALL!" We continue our series of interviews speaking with Kasey Smith from Can-linn representing Ireland. "It’s an unreal feeling. I’m absolutely delighted and feel honoured that Ireland have chosen our act. It’s going to be an amazing experience going to Copenhagen and performing on the big Eurovision stage – one which we are all very much looking forward to"
It was already 2nd time for Kasey in Irish Eurosong and she says that this time she " had a better idea of what to expect this time around. I think the song (Heartbeat) might have suited me a bit better too. My mentor (Hazel Kaneswaran) picked me for the song because she thought my voice matched it very well. I’m just glad the whole performance, the act, came together on the night. Everybody did their bit and we can all be proud of our performance". She describes her entry as "A fusion of traditional Irish music and modern urbanised pop", and tells the story of it's creation: "Hazel was asked by RTE (Ireland’s national broadcaster) to write a song especially for the Eurovision. She came up with the idea of both Can-Linn (the act) and Heartbeat (the song) and teamed up with three Swedish songwriters (Jonas Gladnikoff, Patrizia Helander and Rasmus Palmgren) to put it all together. Once I hear about the song I sent in an audition and Hazel picked me out to sing along with the other performers for the act". "Our two dancers are Thomas Spratt and Tarik Shebani. They are really top class guys with years of experience, especially in tap dancing. Our two backing vocalists are Jenny Bowden and Donna Bissett. And then we have Sarah May Rogers on the fiddle. The Irish Eurosong contest was our first project together so we were lucky in that we all gelled together quickly as both people and performers. We practiced together a lot. All of the hard work paid off". Kasey says that "there may be a couple of minor changes between now and the Eurovision, but you have to be careful when changing anything. The people of Ireland voted for us because they liked what we did at the Eurosong final so we don’t want to change too much as that would be unfair to the voters". Also now Irish team is working on one or two reworked versions of ‘Heartbeat’ for the dance market – the kind of stuff that would suit nightclubs. They have already, prior to the preselection produced a music video for the "Heartbeat": "We got in touch with these two camera guys through a mutual friend (Sean Markey) who are pretty well known in Ireland (Jordan Ballantine and Shane Collier) having won awards, made commercials and done lots of films. We didn’t have much of a budget but they agreed to shoot the video anyway. They’re geniuses when it comes to lighting and did a great job. The video looks great. We shot the entire video in the Production Suite where a lot of the actual music for Heartbeat was mixed". "Our aim at Eurovision is to do as well as we possibly can(-linn). We have a strong song and a good stage show planned, so there’s no reason why we can’t finish in a high position at the Eurovision final. "Pre-contest promotion is very important because it allows you to build up friends and fans in other countries – meaning they’ll be more likely to vote for you when they see you at the contest. I’m not sure if we will be able to travel abroad much for promotions as that can cost an awful lot. Fortunately, thanks to Twitter and Facebook it’s a lot easier to talk to people from all over the world. A lot of our twitter followers are from mainland Europe. We seem to have good followings in Spain, Turkey and the Czech Republic in particular", says Kasey Smith. Kasey has already heard some of the songs taking part in Eurovision 2014, and this is what she had to say: "Two that immediately jumped out as being very strong were Spain and the UK. Both are very powerful songs which I think will do very well in May. There’s some mad ones too. ‘Cheesecake’ by Belarus, for example, is just crazy enough to be a massive hit! Same goes for France’s entry". Speaking about her previous contest experiences, she says: "Well, my first ever big break in the music business was when I auditioned for Louis Walsh and Kian Egan’s band ‘Wonderland’. That itself was a competition I suppose. In a way I’ve always been doing music ‘competitively’. I don’t like to think about it that way though. I just like to go out and do my best. If people like me they like me. I try not to think to much about the competitive element of it". say Kasey Smith and Can-linn. You can read full interview on our Facebook page. "As we have already informed, the work with the stands in B & W Halls led to changes of audience seating, resulting in a different numbering than it was originally planned. This means that we replace the physical tickets that you have purchased. If you have already received your tickets - you will now receive new tickets. Previously sent tickets will be canceled and it will not be possible to get through scanning control with them, as their barcoded become void"
"Work on the stands has changed the layout slightly, so it has been necessary to move a small part of the seats. To avoid confusion, we will send tickets out to everyone who bought them. To avoid cheating with the tickets we have decided to issue new tickets to everyone. However, only a small number of people actually will be affected by the changes. Anyone who has purchased tickets will receive tickets that are on par with the tickets they have originally purchased". Ticket buyers from abroad will also receive new tickets from Billetlugen. Additional information on the traffic arrangements for the Eurovision came from the meeting of Christianshavn neighborhood committee. More than 30 people in addition to the neighborhood committee members, have turned up to listen to Finance Administration report on Eurovision 2014 - and to ask their questions. It has been announced that customers who bought tickets to the Eurovision events will be informed via e-mail about the different traffic solutions, including offer to pre-book a parking space in Sundby Gasværksgrunden site at Amager Strandvej and the space on a shuttle to and from the venue on Refshaleøen. The municipality's desire is that most of the traffic to and from the venue is done by bus, train and metro. 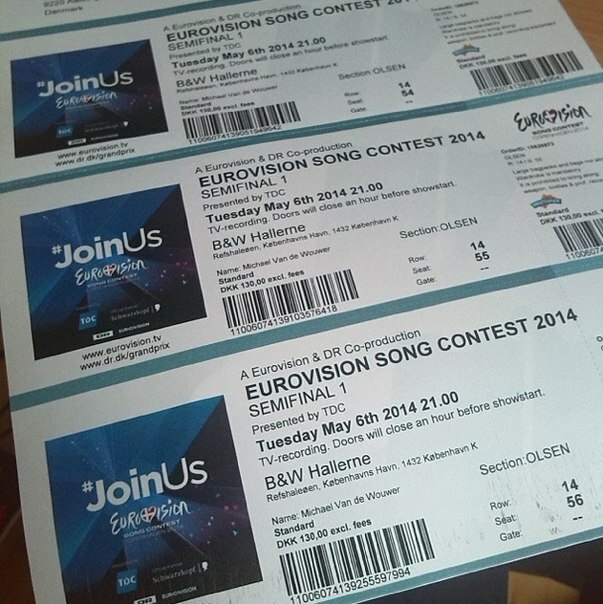 Ticket-buyers will also be offered to purchase special Eurovison-season ticket for the buses. Many of the attendees were skeptical about the extra traffic Prinsessegade is subjected to during the Eurovision and they gave some alternative solutions. Public proposals at the meeting included running 9A buses instead of busy Prinsessegade street and Holmen via Kløvermarksvej or along Langebro and Vermlandsgade. It would have then excluded possibility of traffic problems at Børsgade and Torvegade, which may rise from a big number of 9A buses. Also in this case, buses would not pass along possibly dangerous Christiania, as well as will not hamper movements of young people, children and parents in and around Prinsessegade at the first part of the day. The municipality answer was that overall agreement with Movia includes that, in connection with events such as Eurovison, it is only possible to enhance and extend existing bus lines, but not to establish special shuttle buses nor new, dedicated lines. The municipality wishes for the Eurovision event and other similar major events, if possible, to distribute traffic at various junctions, that's why it is advantageous to have a part of the crowd arriving via the S train and Metro to Christianshavn Torv and others arriving via Central Station. The assessment of municipality is that the solution of the extension of line 9A is the overall best solution. So, a normal 9A buses will run on an extended rount to Refshaleøen, they will stop at all bus stops on the route to pick up and drop off passengers. If the bus is full, only in this case it may pass a bus stop without stopping there. Some buses will make a return loop around Holmen's Church, so not all buses run all the way to the main train station, but can take care of the guests who come by metro to Christianshavn Torv. There will be deployed people from Police Home Guard to regulate traffic, as well other measures taken. Municipality stated that Kløvermarksvej is not suitable for this extra traffic because it already has to run shuttle buses and taxis etc. to Eurovision at Refshaleøen, in addition to the normal traffic to the construction sites Margretheholm and jobs at Refshaleøen. In order to reach Refshaleøen on a private transport, it would be necessary to provide confirmation of employment on the island. Also, the proposal of residents to drop the maximum speed on Prinsessegade for Eurovision period to 30 km/h or completely block it from regular traffic has been dropped by municipality. Current speed on Prinsessegade is experimetally limited to 40 km/h. In regards to the shuttle boats, it was only mentioned that these boats will have it's stop at where B & W boats currently are docked. Berthing area is arranged for the access and egress of people. Private boats will be asked to stay away from the inlets to Refshaleøen that canal boat tours and water buses use. • 12/02: Reconstruction of Refshalevej street and Christianshavn as transport hub. • 24/02: Transport issue is the main challenge. • 28/02: Nyhavn waterbus stop changes. • Slovenian entries will be presented for the first time today at 18.00 CET on Radio Val 202. Listen to them here. • The Common Linnets (The Netherlands) will be performing "Calm After The Storm" in Copenhagen. Acoustic version will be presented live on March 12, full studio version - on March 13. • List of songtitles of Greek preselection revealed. • Belarusian entrant Teo has launched cover versions competition. • Shootings of Georgian music video have been started. Official presentation around 12 March. • 20.25 CET, UK: Eurovision 2014 - The UK Launch, song presentation, BBC Red Button, Eurovision.tv. It's official - Molly with "Chilren of the Universe" for UK. Representative of Russia at the Eurovision 2014 will be selected internally, has learnt ESCKAZ from it's sources on "Russia 1" broadcaster. Meeting of the jury to select the entrant is expected at the end of the working week. It is the first time when "Russia 1" will be selecting it's representative internally - in 1994, 1996, 2008, 2010 and 2012 this Russian broadcaster has conducted public selections. Speaking about possible representative of the country, according to ESCKAZ.com internal sources, it will likely be the artists that were not included earlier in the lists of participants, who publicly announced submitting their entries to the broadcaster. It is probable to be female group or female duet - since it was sonorous soprano of Tolmachevy sisters, which brought "Russia 1" it's only victory at Eurovision Contest. Buranovskiye Babushki have also reached significant popularity at Eurovision. The option of sending Dima Bilan for the 3rd time is not on cards now. .
• New version of Maltese entry "Coming Home" released, lyric video on Wednesday. • Detailed results of Estonian Eesti Laul published. • 17.00 CET, France: Les chansons d’abord Eurovision special, winner announcement, France 3, online. Twin Twin will represent France with Moustache. • 19:00 CET, Azerbaijan, "Böyük Səhnə". Avroviziya milli seçim turu, Final, iTV, online, Eurovision.tv. Dilara Kazimova confirmed as winner. Her song will be announced by March 15. Watch the show final here. • 20.30 CET, Belgium: "Eurosong", 2nd semifinal, Eén, online. Sil and Yass qualify to the finals. • 19.30 - 23.00 CET, Romania: "Selecţia Naţională", Final, TVR1, TVR Int, online, Eurovision.tv. Paula Seling and Ovi win with "Miracle"
Watch the show again here: Part 1, Part 2. • 20.00 - 21.30 CET, Sweden: "Melodifestivalen", Second Chance, SVT1, SVT Europa, online. Last finalists are Helena Paparizou and Linus Svenning. • 20.30 - 22.30 CET, Lithuania: "Eurovizijos atranka", 12th show, Artist selection, LRT1, online, Eurovision.tv. Vilija Matačiūnaitė wins, will represent Lithuania with her self-written song "Attention". • 20.35 - 22.50 CET, Estonia, "Eesti Laul", Final, ETV, online, Eurovision.tv. The conversion of the raw industrial halls at the B & W to a giant television studio is a task beyond the ordinary. Not least because the three main pillars must be removed - and put up again when the show is over. To give the audience a clear view of the stage the blacksmiths are currently in the process of removal of the three central pillars between the two contiguous halls. The two outer pillars have been reinforced and encased in a layer of iron bars and beams between the pillars will also be gone. The carrying capacity must be maintained throughout the process to ensure it doesn't crush. 20 meters up will be a bridge - in the form of an exchange grid of around 60 meters in length - that will replace the current three pillars. "Even though we almost reach the same carrying capacity by making the transverse bridge, we lose something of statics. Giant tin walls of halls are not stable enough in length, so we will need to restore the pillars back"
After the show is over, Host City Copenhagen will have two weeks to pack up and restore the pillars in the halls, which usually house the Royal Theatre Warehouse, a paintball course and a climbing lane on the ceiling. It was discovered that removal of the three pillars will be 10 million DKK more expensive than planned originally. "Upon a new assessment of the situation and a review of DR's desire for the roof structure ability to carry audio, lighting and camera equipment, it became clear that there had to be a more substantial reinforcement to the structure, since DR will not relax its demands for the audio and light solutions", said in Host City Copenhagen statement. The pillars are not the only technical challenge associated with the contest. They also includes: heating, internet cables, logistics and transport. The Halls turned out to be hard to warm up. "It can be a challenge to ensure the warmth inside is enough, so before public comes to the show, it may be a little bit cool inside", says Morten Pankoke. In addition, the tents that will be put around the halls are of about the same size as the halls (appr. 16,000 sq.m). They will host rooms for performers, press, makeup, wardrobe, canteen etc. So generators behind the scenes have to supply 11MW to ensure operation of sound, lighting, as well as bars and restaurants. • 22.30 CET, Ireland, Late Late Show Eurosong Special, RTE1, Eurovision.tv. Can-linn featuring Kasey Smith will represent Ireland with Heartbeat. • We believe that singer Dilyara Kazimova has won the Azerbaijan national final show Böyük Səhnə. Both Swedish composer Stefan Örn and Greek composer Dimitris Kontopoulos were present at the final, so it is unknown who of them will create the song for Eurovision Song Contest. • Belarus entrant Teo held "Cheesecake" party and met with ex-t.A.T.u. Julia Volkova. • Full line-up of Slovenian EMA announced. • New singer, selected via BBC Introducing platform for UK. • Full televoting percentages for Spanish preselection revealed. Originally, it was scheduled that already in February 2013 cycle route from Nyhavn to Kløvermarken in Copenhagen will be opened. Having bridges Inderhavnsbroen (a bicycle/pedestrian bridge across the inner harbour between Nyhavn and Christianshavn), Trangravsbroen (over Trangraven Canal in Christianshavn) and Proviantbroen (over Fredriksholm Canal) ready would have made task of transportation from Nyhavn to Refshaleøen much easier, helping to solve Eurovision transport problem. However, first it appeared that piers were molded 60 cm too high, so the project has been postponed until October. Then, there was discovered a big problem with the quality of steel for the bridge from Spanish supplier, and project was delayed till December 2013. 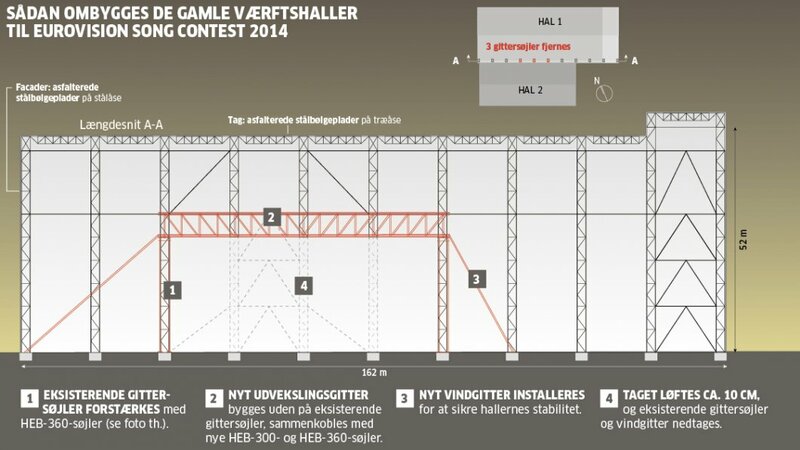 But with contractor Pihl & Søn bankruptcy making another huge blow to the project, now only a possible date of December 2014 is mentioned. All these delays have costed Copenhagen tax payers extra money. Although Copenhagen has already previously funded the project with 60.7 mln DKK, Technical Administration has now requested additional funding of 66 mln DKK. It seems that correct financial estimates of the construction projects isn't really a strong side of the City of Copenhagen. 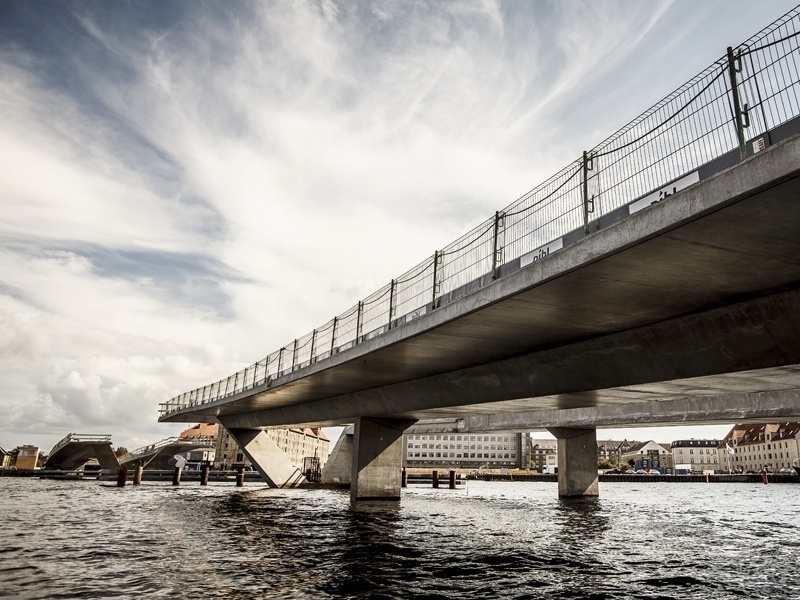 The city is still hoping that all of the bridges will be finished by next year with main one, Inderhavnsbroen - already in July 2014, but there is no chance they will help to Eurovision. 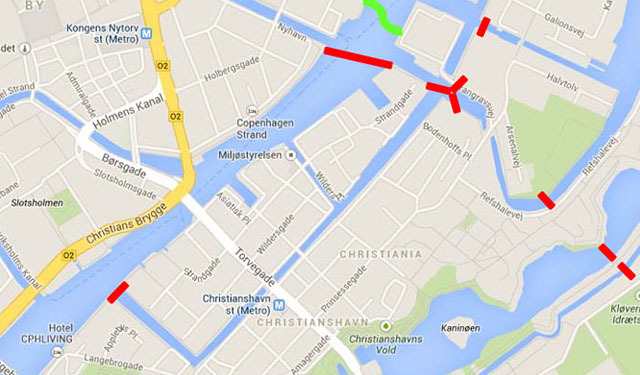 Today, Movia trafic company has announced that due to the excavation works on Kvæsthusbroen, waterbus stop of buses 991/992 at Nyhavn will be closed from March till June. 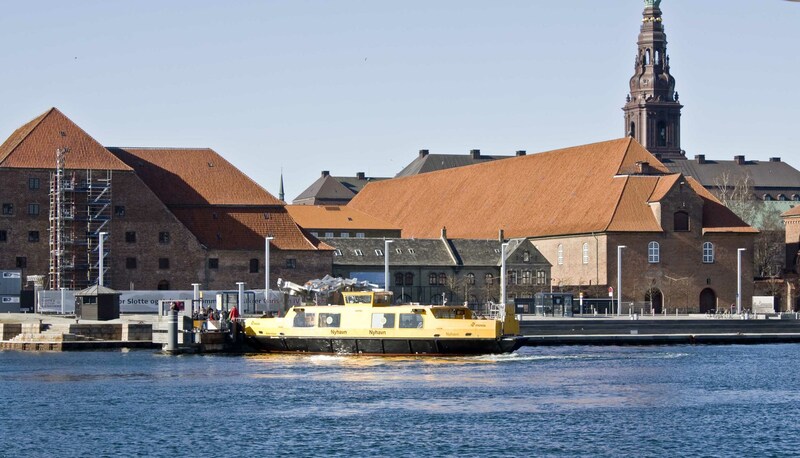 This seems to be another blow for those interested to travel to Eurovision island, since instead of Nyhavn, people travelling to Refshaleøen are adviced to use waterbus stops at Nordre Toldbod or Det Kgl. Bibliotek. However, route 993 will now be used as an extra shuttle service, operating from south side of Nyhavn (near with the above mentioned Inderhavnsbroen) to Opera, where passengers may change to route 991/992. 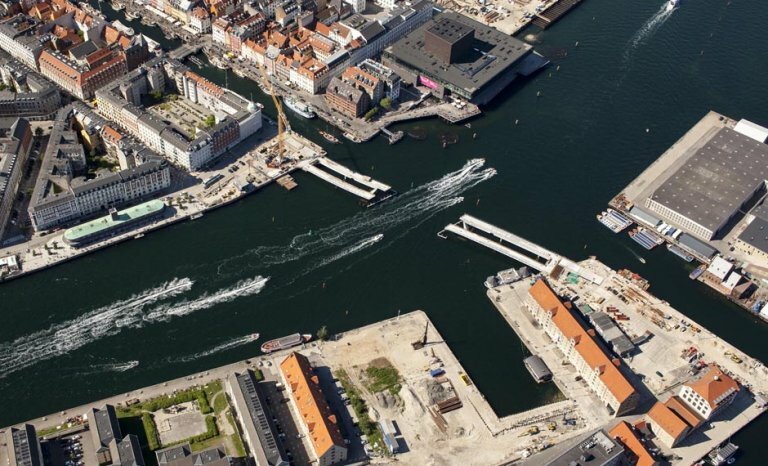 It is likely that same stop at south part of Nyhavn will also be used for shuttle boats to Refshaleøen during Eurovision nights, since it is scheduled that a large traffic to and from the show will be passed through Nyhavn, being also the end of "Eurovision Fan Mile". Special traffic amendments and information on shuttle buses is yet to be announced. • 20.00 CET, Israel, Way To Copenhagen, Songs presentation, IBA1, online. Watch the videos for 3 entries here. Watch full program on demand here. • 22.10 CET, Germany, Club Concert, Wildcard selection, NDR, EinsPlus, online. The Wildcard was won by Elaiza. You can see the show on demand here. • Maltese band Firelight records new version and their music video. • MelfestRobotGate - scandal with automatic voting in Sweden. • Presentation of entries of Greek preselection is scheduled for March 4, at 10.30 and 18.30 CET. • Presentation of British entry is set on Monday, 20.25 CET on BBC Red Button. • Teo (Belarus) completes filming of his Eurovision postcard. • Running order of Moldovan semifinals drawn. Our next interview comes from Macedonia, where Tijana Dapčević has just presented her entry "To The Sky". "MRT has chosen me and offered to represent Macedonia in Copenhagen which I immediately accepted. I’m very pleased and it’s an honor for me"
"because it has energy, beautiful message, love, cello... This song reflects me, in a way. Darko and I have been collaborating for many years and I believed in his choice from the moment he told me about the song. When I heard it, that was it – I didn’t want to hear any other song. I believe in this song and feel very confident when I sing it". "The plan is to make a good party on the stage and show the people that you can really go up to the sky and make everything come true. Love and energy make everything come true. My sister Tamara will join me on the stage as the backing vocalist. Tamara has been twice in Eurovision Song Contest so far and her advice is to be just who I am because the first thing that you notice and feel during those days is all the positive energy coming from everywhere. Currently Tijana is busy filming Eurovision music video and says: "parts of my preparation for Eurovision will be the innovative approach, interesting promotional material and I will also visit some European countries as part of the tour"
"The promotional tour isn’t crucial for success but it is very important to have a chance to meet your fans and all the people who support you. Internet connects us all and cuts the geographical boundaries between us. Even if I visited all the countries, I wouldn’t be able to communicate with fans like I can on the internet. On the other hand, nothing in the virtual world could ever replace the amazing feeling of being with your fans, in person. It’s great to have the combination of both, like we have now". Her aim for Eurovision is "to make everyone who believes in me the proudest person on Earth. I will try to make Europe believe in my energy as much as I do. Everything starts from there". Being big fan of the contest, Tijana keeps track of all the news and participants. "I can’t pick out anyone yet because there are many countries which still haven’t chosen their representatives and it wouldn’t be fair to favor anyone at the moment". "Music, in general, is my style. I was born with music, both of my parents are musicians, I have graduated in cello and I was raised by music. I can’t choose just one style. I think the biggest influence on me had (and still has) classical music. It feeds your soul and provides it with peace and positive energy. That’s the point where creativity is born. When I was younger, I have participated in many competitions playing cello. I was a member of one of the most popular symphonic orchestras in Leipzig. Later in life, I took part (and won) in many regional music festivals. Competitions are good, they make you think outside of the box"
"Just believe in your IT and sky is the limit"
In order to make everything perfect for the three Eurivision shows DR and Dance School Frederiksberg invites Danish singers and dancers to become stand-ins for the Eurovision stars during the initial rehearsals on Refshaleøen. "We will be working with stand-ins to ensure that both camera, audio and light are completely ready when participants themselves arrive to Copenhagen", says Mattias Carlsson, delegation stage director for the Eurovision Song Contest. Interested performers can apply by February 28 to e-mail kimeurovision@gmail.com sending a photo of themeselves and a brief description of their experience in dancing or singing. Then there will be live auditions on March 3. Chosen stand-in will pass through preparation course from March 17 to April 9, they will be practicing 3 hours, 1-2 times a week, Monday-Friday, between 10.00 and 16.00. On stage rehearsals will run on April 14-17. Earlier, it was announced that approximately half of stand-in for Eurovision 2014 will again come from Sweden. • Donatan - Cleo confirmed as Polish representatives at Eurovision 2014. TVP considers bilingual songversion. • Teo (Belarus) invites to Cheesecake party, starts filming Eurovision postcard. • Greek national final set for March 11. • The list of songtitles and broadcast schedule for wilcard Club concert in Germany revealed. A legal study commissioned by the City of Copenhagen estimated that the preparations of B & W Halls for Eurovision in May can not be considered as the state aid. We have reported earlier, that according to other experts opinion, governmental financial assistance in reconstruction of the hall may create unlawful competition with other concert venues in Copenhagen. The legal company hired by financial committee of the municipality however decided differently, stating that there is no breach of any Danish or the EU laws. They have paid attention to the fact that there will be no permanent added value to the Halls. It is supposed that the place must be handed back to the owners after Eurovision in it's original condition. "I find it difficult to understand how the improvements made will not have any lasting value, according to the assessment from the law company", says Liberal Alliance Party and Financial committee member Lars Berg Dueholm. If there will be any kind of the remaining value proved, then Refshaleøens Property Company will have to compensate it in full. Representatives of Copenhagen concert and event venues interviewed by Berlingske newspaper, including Parken and Forum, have welcomed B & W Halls as the events venue, saying there is no competition between them, as they are aimed for different types of evetns. Today City of Copenhagen has allocated extra 9.665 mln DKK for the organization of Eurovision, despite protests from opposition parties (Liberal Alliance voted against and Conservatives abstained). 4.34 mln are 1/3 of the extra costs divided between City of Copenhagen, Capital Region and Wonderful Copenhagen, 4.4 mln is the bill for building permit and 0.925 mln was due by engineering and environmental committees for street cleaning and traffic intersection. We continue series of our interviews speaking with the representative of Albania Hersi Matmuja. "Winning the FiK and becoming the official representative of Albania in the Eurovision Song Contest has been like a meteorite to my life. It suddenly changed everything. I had dreamed about it for too long, that’s why it took me days to realize that it had actually became real. I became so numb in that moment, I can’t even remember it". She has described her entry "Zemërimi i një nate" as "Inner peace, all the rest is just outer noise". It was Hersi's 5th time at Festivali i Kenges. Singer thinks that her experience, she gained in past years, helped her to win this time. She wanted to have a second collaboration with composer Genti Lako this year, after they have finished third last year on the FiK final. "I needed a song I could love and I could believe in. If we didn't come up with a good song, we wouldn’t have entered on this year’s FiK. Luckily Genti got inspired, and Zemerimi i nje nate gave me all I needed! I heard it as a demo at the composer’s studio, and I immediately started crying. Than the lyricist adapted the lyrics, gave a meaning to the song, a message I could give to the people"
Song was obviously changed a bit for the international contest - it has been shortened 30 seconds, and rearranged. 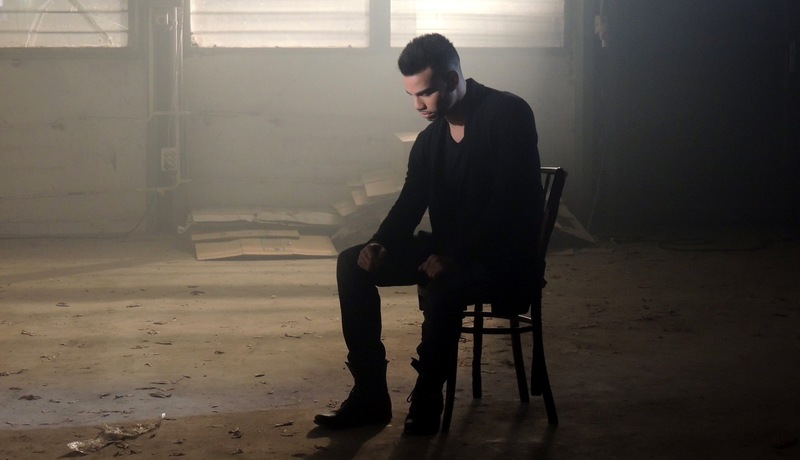 The English version has been recorded as well, under the title of "One night's anger" with lyrics by Leon Menkshi and Genta Hodo, which are an adaptation of those in Albanian, keeping the same message and meaning, by Leon Menkshi and Genta Hodo. However, still, there is no final decision in which language song will be performed in Copenhagen. The team is currently also working on Italian version, and Hersi's wish is also to record it in several other languages like Spanish, or French. "I think we will have the backing vocals, and also some instrumentists, but keeping a simple, clean visual performance. I’d like for the song to be heard more than seen. But there’s still a lot to be thought on this"
Albanian singer says she has already heard all entries already chosen for ESC 2014 "I can only say it will be a difficult competition this year! So far so good!". Hersi's aim for the international final is "to represent myself as best as possible, have a good performance, like I always dreamed… I’m not missing any of the steps towards the ESC performance, doing the best I can in everything. I believe that passion and commitment is the key of success". She is highly interested in promoting her song around Europe prior to the contest, going to Amsterdam Eurovision In Concert saying "it is very important, because it’s the most important event where we can sing our entries live, a pre-show of what we will give on the stage of Copenhagen. I can’t say about the other dates of tour, it will be a great thing for the song, but we still haven’t fixed it". "I have always heard different types of music, without prejudice, because I see it as a way to create my original taste and style as a artist. I’m still on the way of recreating myself, so I enjoy every kind of music I sing, I’m still experimenting. I can only define that apart pop music, I passionately love the world of classical music, which I live and study for, in the conservatory of Santa Cecilia, in Rome. I do classical music projects almost every weekend there, and I enjoy each of them"
She names Celine Dion, Whitney Houston, Bjork, Rihanna, Etta James, Billie Holliday as singers having the biggest influence on her. Regarding her festivals experience she says: "I have participated twice in Kenga Magjike, and once in Top Fest, other music festivals in Albania. More than competing, I enjoy experiencing different ways of making art. In Kenga Magjike for example, I had a dancing performance, with a dance song, and it was a different experience to me". "I’d like to thank everyone who has been supportive and positive. Never stop listening music and supporting art and artists, we always need a lot of your trust!" 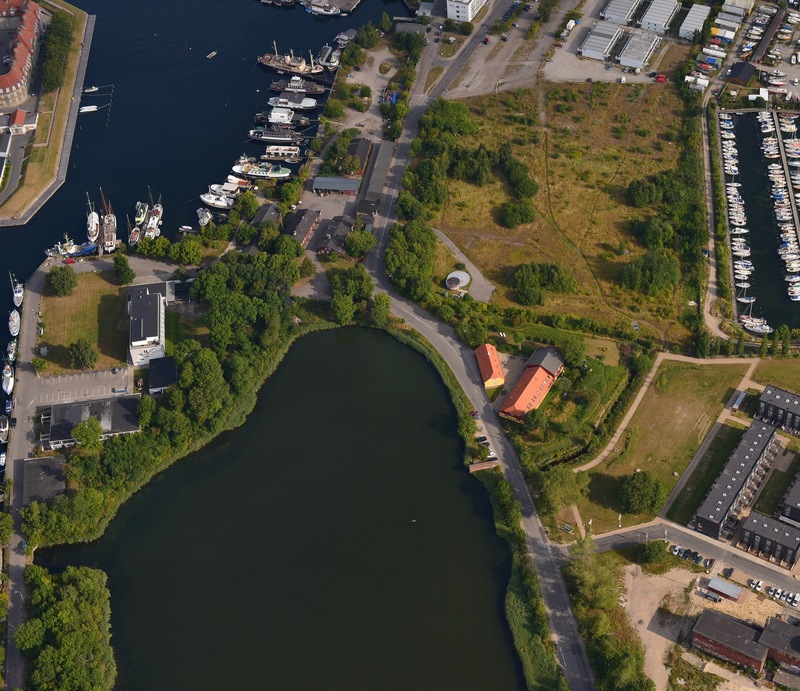 Over the next ten weeks the old shipyard area at Refshaleøen will be transformed into a 'Eurovision Island', which will visit 9 times 10,000 people over the course of the week in May. Newspaper Politiken met Morten Pankoke, head of operations in the ESC 2014 project company. 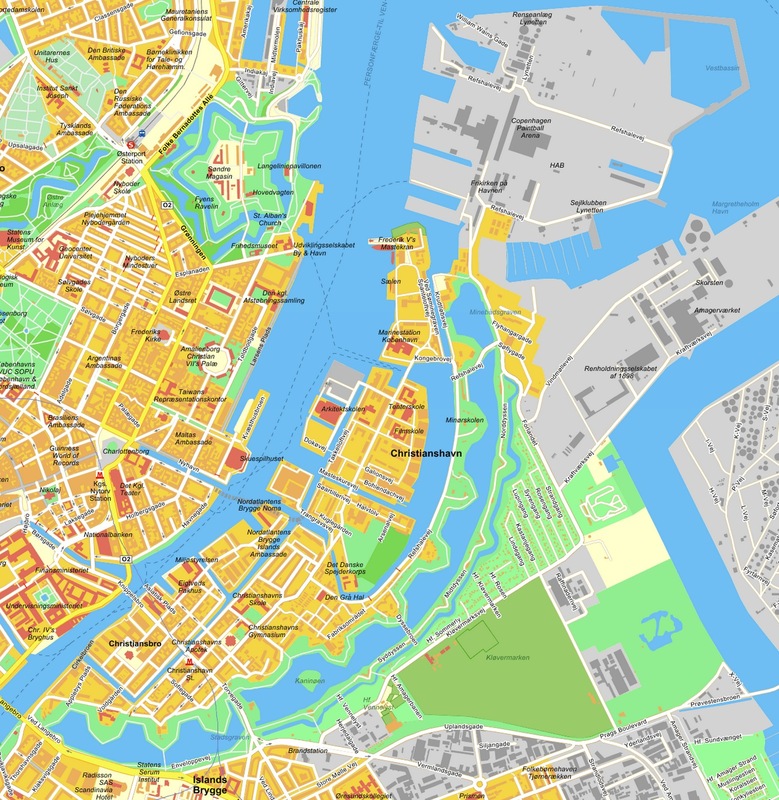 "Parken has withdrawn themselves, and at DR Byen there were as many challenges as we have here. They are very major challenges, but we also have a lot of freedom in solutions"
The biggest challenge of Refshaleøen is, according to him, to carry many spectators to the island, which can only be reached only by a single narrow road and by water. To it also points out architect Jes Vagnby, who has previously been responsible for the construction of mega-events such as the Roskilde Festival, and he was invited by newspaper to discuss the conditions at Refshaleøen. "I'm very much unsure about logistics setup. A waterbus can take 65 people, a regular bus can take about 50, so there should really run many buses and sail many waterbuses to get twice a day 10,000 people in and out the island"
He points out that single narrow road creats a major problem for any transport, buses included. "It may lead to enormous delays, but it can't be permitted in connection with an international live TV show. It can't be started without people in the hall"
Bus 9A will run as shuttle from Christianshavn Torv and waterbuses and canal boats will sail people over from Nyhavn. There will also be shuttle buses from the new parking area on Amager. "The preparation of transport still has plenty of uncertain factors. Yesterday one of the buses stuck on the narrow road over here, for example, so we will need to have a plan B, C, D and E, but I'm sure we will be able to solve it", says Morten Pankoke. The hard work has already started in the area, with asphalt cutter and the large cranes are in full operation. A new coating is being laid to cover the road from bus and waterbus stops to the venue and excavators are levelling the ground where huge tents are to be placed. The roads are dug up to install sewage, heating and fiber cables for LAN as well as to build more spaces for buses. The first tents will start being set up today, and everything is expected to be ready by the end of April. In addition to the facilities for the audience - production people, artists, delegates and 1,600-1,700 press people will also get their canteens, toilets and internet facilities in a tent area of appr. 15,000 m2 located behind halls. The current information contradicts the bidding documents, stating that press-center will be located in B&W Grand Ballroom building, which was already in doubt, since it is scheduled to host 2 grand tribute concerts to Danish MGP participants on May 2 and 3. There will be also built a restaurant with seating for 1,500 guests, and there should be also created smaller bars and a smaller stage for music, that will help to fulfil a major task of avoiding people arriving and leaving the Island at the same time. • 22.00 Москвы, Молдова, национальный отбор, 1й полуфинал, онлайн. Alina Sorochina, Vlad Ray, Rodica Olișevschi, Carolina Gorun покидают отбор. Полное шоу можно увидеть в записи здесь, а записи отдельных выступлений здесь. • 23.00 Москвы, Греция, Eurosong 2014 - a MAD show, финал, DT, онлайн, Eurovision.tv. Freaky Fortune feat. Riskykidd представят Грецию с Rise Up. • По последней информации, презентация песни Грузии может пройти в пятницу. Однако, это все еще предварительная дата. • Презентована английская версия песни Черногории "My Love". • Опубликованы полные результаты телеголосования в отборочном шоу Швеции - Melodifestivalen. • Рут Лоренцо Испания сняла свою открытку для Евровидения. • 23.05 Москвы, Норвегия, Melodi Grand Prix, 3й полуфинал, NRK1, онлайн. Последние финалисты - Elisabeth Carew, El Cuero и Carl Espen. • 23.30 Москвы, Бельгия: "Eurosong", 3й полуфинал, Eén, онлайн. Axel Hirsoux и Bandits вышли в финал. • 00.15 Москвы, Черногория: Презентация песни, RTCG1, онлайн, Eurovision.tv. • 23.00 - 00.30 Москвы, Словения: "EMA", Финал, RTVSlo1, онлайн, Eurovision.tv. Tinkara Kovač представит Словению с песней Spet (Round And Round). • 23.00 - 01.00 Москвы, Швеция: "Melodifestivalen", Финал, SVT1, SVT Europa, онлайн. Sanna Nielsen с Undo побеждает в Швеции. • 23.00 - 01.20 Москвы, Дания: "Dansk Melodi Grand Prix", Финал, DR1, онлайн. Basim побеждает с Cliché Love Song. Полную запись шоу вы можете увидеть здесь. • 23.55 - 01.00 Москвы, Норвегия, Melodi Grand Prix, 2й полуфинал, NRK1, онлайн. Charlie, Oda & Wulff и Knut Kippersund Nesdal вышли в финал. • 01.20 - 03.30 Москвы, Португалия, Festival da Cancao, Полуфинал, RTP1, RTP int, онлайн. Catarina, Raquel Guerra, Rui Andrade и Suzy вышли в финал. • 23.05 Москвы, Норвегия, Melodi Grand Prix, 1й полуфинал, NRK1, онлайн. Финалисты: Dina Misund, Linnea Dale и Mo. • ESCKAZ live at Melodifestivalen: Интервью с Ace Wilder, Sanna Nielsen, Alcazar. Фотогалерея генеральной репетиции. • Песня Черногории "Moj svijet / My Love" будет представлена в ночь с воскресенья на понедельник в 00.15 Москвы в специальном шоу на RTCG1. 1800 кв.м. - такой величины тент появился как раз за B&W Залами - он будет служить закулисной областью во время конкурса Евровидения 2014 в мае. говорит продакшн-менеджер Сиссе ван Вюлих-Муксолл от телекомпании DR. Она отвечает за координацию проведения шоу. В понедельник она и вся ее команда переберутся с DR Byen в трейлеры на Рефсхалеюне. Помимо прочего, она имеет опыт работы как продакшн-менеджер с Kongerigets Klogeste, Talent, Zulu Awards и Danish Music Awards. "Евровидение в десять раз крупнее любого другого мероприятия. И вместо одного шоу, нам предстоит сделать три, плюс еще шесть репетиций со зрителями", говорит Сиссе. • Презентация песни Армении назначена на 14 марта, она пройдет в 40-минутной программе на 1м канале ОТА в 22.00 местного времени. • Группа "Сопрано 10" подтверждает подачу заявки на участие в российском отборе. Никаких комментариев по поводу возможного участия Сергея Лазарева, как и новой информации от телеканала "Россия 1" не поступило. • ESCKAZ live at Melodifestivalen: Интервью с Oscar Zia, Ellen Benediktson. • 13.00 Москвы, Греция, презентация песен, DT, онлайн. Смотрите видео также на MAD TV Youtube. • 23.00 Москвы, Израиль, Way To Copenhagen, объявление песни-победительницы, IBA1, онлайн. Мей Файнгольд исполнит песню Same Heart в Копенгагене. "Я никогда не забуду тот момент, когда судьи объявили меня в качестве победителя "A Dal". Все замедлило свое движение перед моими глазами, и я с трудом мог слышать звук, поэтому можно сказать, что я был шокирован, но одновременно стал самым счастливым человеком на свете. Я доказал себе, что мечты сбываются, если ты много работаешь и никогда не сдаешься"
"но после того, как я написал "Running", я почувствовал, что должен заявить именно эту песню. Running основана на реальной истории. Я написал ее о своей подруге детства, и других людях с подобными проблемами, которых я встречал в жизни. К сожалению, моя подруга была жертвой домашнего насилия над детьми. Я написал эту песню об опыте этих людей и о том, через что им пришлось пройти. Я бы хотел привлечь внимание людей к этому вопросу. Это не обычная песня о любви, но мы не должны забывать, что это то - что происходит ежедневно, по всему миру. Я бы хотел, чтобы дети знали, что они не должны бояться попросить о помощи. Я счастлив тому, что я не только получил право принять участие в Евровидении, но месседж моей песни теперь сможет быть услышан каждым зрителем этого конкурса". Это было третьей попыткой Андраша в венгерских отборах "A Dal". Певец говорит: "Моей мечтой всегда было представить Венгрию на Евровидении. Я думаю, что люди заметили, как я сильно этого желал, и никогда не сдавался и продолжал свои попытки. Я очень рад, что я победил именно с "Running", а не моими предыдущими песнями. Я чувствую, что с этой песней есть много больше, что я могу предложить слушателям, и ее месседж должен быть услышан как можно большим количеством людей". Он выбрал написать текст на английском, "потому что в этой песне очень важен текст, и английский язык понимают почти в каждой стране мира". У исполнителя нет планов ни вносить какие-либо новые изменения в свою песню, ни записывать ее версии на других языках. На национальном отборе Андраш выступил вместе с бэк-вокалистами Розиной Человски (еще одной участницей Megasztar) и Кирой Федор, танцорами Катой Келемен и Шандором Куруцем, а также пианисткой Зои Черпес - сестрой певицы Лауры Черпес. К сожалению, Зои не сможет присоединиться к Андрашу на сцене Евровидения, поскольку ей всего 15 лет. Полагают, что теперь роль маленькой девочки исполнит танцовщица. Кроме того: "номер будет практически таким же, как в A Dal с небольшими изменениями в плане хореографии и намного большее количество движений, из-за того, что размер сцены будет намного больше". На вопрос, что самое сложное для него в номере, Андраш сказал: "Я внес небольшое изменение в свой номер, согласно которому я будут пробегать на полной скорости отрезок сцены перед самым началом припева. Для меня сегодня это самая сложная часть, но я репетирую каждый день, и стараюсь поддерживать свою гимнастическую форму в зале, чтобы гарантированно не запыхаться во время пения". "Я сделаю все, что от меня зависит и выложусь на все 100%. Я надеюсь, что смогу затронуть сердца слушателей своей музыкой, и передать посыл моей песни людям со всего света"
Андраш рассказывает: "Мы готовим международный промо-тур. Я пока не знаю точных дат, но мы будем их публиковать на моей фан-странице в Facebook. Промоушен всегда очень важен. Важно, чтобы твою музыку услышало как можно большее количество людей, и чтобы они узнали тебя лучше как человека и артиста". Говоря о других участниках конкурса, венгерский певец заметил: "В нем очень много хороших песен, я не могу выделить фаворита. Мне просто нравится слушать различные стили музыки от каждой страны". Альбом исполнителя уже готов, но дата его выпуска пока не установлена. Планов релиза новых песен до Евровидения у него нет. "Мне нравятся все стили музыки, я не могу сказать, что у меня есть какой-то конкретный стиль. Это смесь всего: RnB, поп, соул, рок, блюз, кантри...", говорит певец. Вдохновение он черпает из творчества своего отца Фернандо Сондерса: "С самого раннего детства я восхищался его работой и всегда хотел последовать по его следам. Многие люди говорят, что мы звучим похоже. Соул-нотки в моем голосе и то, как я сливаюсь с музыкой в единое целое - я определенно унаследовал от своего отца. Он сейчас очень мною гордится и для меня это очень важно". Большой опыт пришел к Андрашу с участием в шоу Megasztar (Венгерский аналог Фабрики Звезд) четыре года назад. "Я помню, как я тогда боялся на сцене, я всегда очень нервничал. Благодаря этому шоу, я потерял весь страх к сцене и научился просто расслабляться и получать удовольствие"
"Я хочу сказать спасибо всем тем, кто поддерживает мою мечту и верит в меня. Я никогда не забуду, что без вас я бы не смог сейчас жить своей мечтой. Я очень благодарен и признаетелен всем вам. ЛЮБЛЮ ВАС ВСЕХ!" Полное интервью (на английском языке) вы можете прочитать на нашей странице в Facebook. Мы продолжаем серию наших интервью беседой с Кейси Смит из проекта Can-linn, представляющего Ирландию. "Это нереальное чувство. Я абсолютно счастлива и польщена тем, что Ирландия выбрала наш номер. Поездка в Копенгаген и выступление на большой сцене Евровидения станет потрясающим опытом для меня - и мы с нетерпением ждем этого дня"
Это было уже второе участие Кейси в ирландском отборе Eurosong и она говорит, что на этот раз у нее "было лучшее понимание того, чего ожидать. Я думаю, что песня (Heartbeat) также подходила мне лучше. Мой ментор (Хейзел Канесваран) выбрала меня за песню, потому что она считает, что мой голос очень хорошо подходил ей. Я счастлива, что все выступление, наш номер, удался нам в вечер отбора. Каждый выполнил свою задачу как было задумано, и мы все можем гордиться своим достижением". Свою песню певица описывает как "Слияние традиционной ирландской музыки и современной урбанизированной поп-музыки", и рассказывает историю ее создания: "Ирландское телевидение RTE попросило Хейзел написать песню специально для Евровидения. У нее родилась идея создания группы Can-Linn и песни Heartbeat, и вместе с тремя шведскими авторами - Йонасом Гладникофф, Патрисией Хеландер и Расмусом Палмгреном они вместе создали композицию. Когда я услышала о этой песне, я подала заявку на прослушивания и Хейзел выбрала меня для выступления вместе с другими участниками номера". "У нас два танцора - Томас Спратт и Тарик Шебани. Они действительно высококлассные ребята с многолетним опытом, особенно в чечеточных танцах. Две бэк-вокалистки это Дженни Боуден и Донна Биссетт. И также с нами выступает Сара Мэй Роджерс на скрипке. Ирландский Eurosong стал нашим первым совместынм проектом, поэтому нам повезло, что мы смогли успешно объединиться вместе как исполнители и как люди. Мы очень много репетировали, и эта тяжелая работа дала свой результат". Кейси говорит, что "в песне до Евровидения могут произойти небольшие изменения, но нужно быть очень осторожным, меняя что-то. Жители Ирландии проголосовали за нас, потому что им понравилось то, что мы делали на финале Eurosong, поэтому мы не хотим ничего особенно менять, поскольку это станет несправедливым по отношению к тем, кто голосовал за нас". Также в настоящее время ирландская команда работает над созданием одного или двух танцевальных ремиксов на Heartbeat, которые подошли бы для ночных клубов. Они уже, еще до национального отбора сняли видеоклип на свою песню: "Мы познакомились с двумя операторами (Джордан Баллентайн и Шейн Коллье) через нашего общего друга Шона Марки. Они довольно известны в Ирландии, обладатели различных премий, снимали рекламу, и множество фильмов. У нас был не особенно большой бюджет, но их заинтересовал проект и они согласились поработать с нами. Они - гении, когда речь идет об освещении, и они сделали отличную работу. Клип выглядит превосходно. Все его съемки прошли в студии звукозаписи, где делалась большая часть микса музыки для Heartbeat". "Наша цель на Евровидении - выступить так хорошо как мы сможем (yes we can(-linn). У нас сильная песня и мы планируем хорошее сценическое шоу, поэтому мы не видим никаких причин для того, почему мы бы не смогли занять в финале Евровидения высокое место". "Предконкурсный промоушен очень важен, поскольку он помогает собрать новых друзей и поклонников в других странах - то есть они смогут проголосовать за тебя, когда увидят тебя на конкурсе. Я не уверена, сможем ли мы много путешествовать за границу для промо-выступлений, потому что это очень дорого стоит. К счастью, благодаря Facebook и Twitter намного легче общаться с жителями со всего мира. Очень много наших фолловеров в Твиттере из других стран Европы. Мы видим, что к нам проявляют интерес особенно в Испании, Турции и Чехии", говорит Кейси Смит. Кейси уже слышала ряд песен, принимающих участие в Евровидении 2014 и вот что она говорит о них: "Две, которые особенно выделяются - это Испания и Великобритания. Обе песни очень мощные, и я думаю, добьются в мае большого успеха. Есть и несколько совершенно сумасшедших вещиц. Например, "Cheesecake" от Беларуси - это просто чумовая песня, которая может стать большим хитом! То же самое касается и песни Франции". Рассказывая о своем прежнем конкурсном опыте, певица говорит: "Мой первый прорыв в шоу-бизнес произошел, когда я принимала участие в прослушиваниях в группу Луиса Уолша и Кайан Эган "Wonderland". Это тоже было своего рода конкурсом. С какой-то стороны, я всегда делала музыку, соревнуясь с кем-то, хотя я не хочу думать о творчестве в этом духе. Я просто стараюсь делать все, что я могу. Если людям я понравлюсь - значит понравлюсь. Я стараюсь не особенно думать о заложенном конкурсном элементе". говорят Кейси Смит и Can-linn. С полным интервью (на английском языке) вы можете познакомиться на нашей странице в Facebook. "Как мы уже сообщали, во время работы над трибунами залов B&W нам пришлось внести некоторые изменения в рассадку зрителей, которые также выразились в новой нумерации рядов, которая отличается от той, что была запланирована ранее. По этой причине мы заменим все физические билеты, что вы приобрели. Если вы уже получили ваши билеты - теперь вы точно также получите новые. Ранее высланные билеты прекращают свое действие и попасть по ним в зрительный зал будет невозможно, их штрихкод не будет считан сканерами"
"Работы над трибунами немного изменили посадочную схему, и потому нам стало необходимым пересадить часть зрителей. Для того, чтобы не создавать путаницы, мы вышлем новые билеты всем, кто их приобрел. Чтобы не было махинаций, было решено отправить новые билеты абсолютно всем приобретателям. Однако, в действительности, только небольшое количество людей получит новые места. Однако, мы гарантируем, что все новые билеты будут аналогичного класса, как и приобретенные ранее". Иностранные приобретатели билетов также получат новые билеты от Billetlugen по почте. Дополнительная информация о том, как будет организовано движение транспорта на время Евровидения стала известна с заседания районного комитета Кристиансхауна. Более 30 человек из жителей района, помимо самих членов комитета, посетили заседание, чтобы услышать отчет муниципалитета города о подготовке к Евровидению 2014 и задать свои вопросы. Было объявлено о том, что все те, кто приобрел билеты на Евровидение, будут проинформированы по e-mail о различных вариантах транспорта, который они смогут использовать для попадания в зал проведения конкурса, включая возможность забронировать себе парковочное место на Sundby Gasværksgrunden на улице Amager Strandvej и место на шатлл-автобусе оттуда до зала на Рефсхалеюне и обратно. Желание муниципалитета заключается в том, что большая часть перевозок в и из зала осуществляется общественным транспортом - автобусами, поездами и метро. Приобретателям билетов на конкурс также предложат купить специальные сезонные билеты на период Евровидения для поездок в автобусах. Многие из тех, кто посетил заседание, скептически высказались по вопросу увеличения траффика транспорта, которому на время конкурса будет подтвергнута улица Prinsessegade и выдвинули свои альтернативные предложения. Среди них были - отправить автобус 9A вместо загруженной улицы Prinsessegade и Холмена через Kløvermarksvej или по мосту Langebro и далее по Vermlandsgade. В таком случае удалось бы избежать проблем с пробками на Børsgade и Torvegade, которые могут возникнуть от увеличения количества автобусов 9A. Также в этом случае автобусам бы не пришлось проходить мимо потенциально опасной Христиании, и они не помешали бы передвижению молодежи, детей и родителей по улице Prinsessegade в первой половине дня. Ответом муниципалитета стало то, что по соглашению с транспортной компанией Movia, в случае таких мероприятий как Евровидение, возможно только усиливать и продлевать существующие маршруты движения автобусов, но не создавать специальные шаттл-автобусы, или новые, специальные, маршруты. Муниципалитет хотел бы, чтобы во время Евровидения, как и любых других крупных мероприятий, траффик бы направлялся в разные точки, и потому приоритетом является то, что часть зрителей будут приезжать на S-поездах и метро на Christianshavn Torv, а другие - через центральный вокзал. Общая оценка муниципалитета заключается в том, что продление маршрута 9А - это лучшее решение. Потому, до Рефсхалеюна будут ходить обычные автобусы 9А, которые будут останавливаться на всех остановках, чтобы подобрать или высадить пассажиров. Если автобус будет переполнен, то только в таком случае, он сможет проехать остановку. Некоторые автобусы будут заворачивать обратно около Церкви в Хольмена, поэтому не все автобусы будут доходить до центрального вокзала, некоторые будут только довозить зрителей до метро. Для регулирования движения будут выставлены сотрудники автоинспекции, а также будут предприняты другие меры. Муниципалитет заявил, что улица Kløvermarksvej не подходит для подобного дополнительного траффика, поскольку по ней и так будут ездить шаттл-автобусы, такси и пр. до Евровидения на Рефсхалеюне, в дополнение к обычному по ней движению к Маргретехолму, к стройкам в его районе и к другим точкам Рефсхалеюна. Для того, чтобы въехать на Рефсхалеюн на частном транспорте понадобится удостоверить факт работы на нем. Также, было отклонено предложение местных жителей ограничить максимальную скорость движения на Prinsessegade на время Евровидения до 30 км/ч. В настоящее время в порядке эксперимента максимальная скорость передвижения на этой улице ограничена 40 км/ч. По вопросам передвижения шаттл-лодками, было только отмечено, что подобные лодки будут останавливаться в тех доках, где в настоящее время находятся лодки B&W. Для посадки и высадки людей будет оборудован причальный участок. Частных судовладельцев попросят не заходить в карманы на Рефсахлеюне, которые используются лодками туров по каналам и водными автобусами. • Основная статья о транспорте. • 12/02: Реконструкция улицы Рефсхалевей и Кристиансхаун в роли транспортного хаба. • 24/02: Транспортные вопросы - самая сложная проблема. • 28/02: Изменена остановка водного автобуса на Нюхавне. • Презентация песен Словенского отбора будут представлены сегодня в 21.00 Москвы на Radio Val 202. Прослушать их вы можете здесь. • The Common Linnets (Нидерланды) исполнят песню "Calm After The Storm" в Копенгагене. Акустическая ее версия будет представлена вживую 12 марта, а полная студийная версия - 13 марта. • Объявлен список названий песен греческого отбора. • Представитель Беларуси Тео запустил конкурс кавер-версий. • Начались съемки видеоклипа представителей Грузии. Официальная презентация ориентировочно 12 марта. • 23.25 Москвы, Великобритания: Eurovision 2014 - The UK Launch, презентация песни, BBC Red Button, Eurovision.tv. Подтверждено официально - Молли представит Великобританию с "Chilren of the Universe". Представитель России на Евровидении будет назначен внутренним отбором, об этом стало известно сайту ESCKAZ.com из источников на телеканале "Россия 1". Заседание жюри с назначением представителя ожидается в конце рабочей недели. Это первый случай, когда "Россия 1" выберет участника конкурса без открытого отбора - в 1994, 1996, 2008, 2010 и 2012 годах вещатель проводил отборочные конкурсы с голосованием телезрителей. Что же касается возможного представителя страны, то по информации ESCKAZ.com, вероятнее всего им станут артисты не фигурировавшие ранее в списках участников, подтвердивших публично подачу своих заявок на канал. Возможно, это будет женский коллектив или дуэт - ведь именно звонкое сопрано сестер Толмачевых принесло телеканалу Россия его единственную победу на конкурсе Детское Евровидение. Большой популярности добилась и группа Бурановских Бабушек. Мы полагаем, что речь о третьем участии Димы Билана в этот раз не идет. • Представлена новая версия песни Мальты "Coming Home", lyric video будет выпущен в среду. • Опубликованы детальные результаты Эстонского отбора Eesti Laul. • 20.00 Москвы, Франция: Les chansons d’abord Eurovision special, оглашение победителя, France 3, онлайн. Twin Twin представят Францию с Moustache. • 22:00 Москвы, Азербайджан, "Böyük Səhnə". Avroviziya milli seçim turu, Финал, iTV, онлайн, Eurovision.tv. Диляра Казимова подтверждена в качестве победительницы. Ее песня будет презентована до 15 марта. Запись финала шоу можно увидеть здесь. • 23.30 Москвы, Бельгия: "Eurosong", 2й полуфинал, Eén, онлайн. Sil и Yass вышли в финал. • 22.30 - 02.00 Москвы, Румыния: "Selecţia Naţională", Финал, TVR1, TVR Int, онлайн, Eurovision.tv. Paula Seling и Ovi представят Румынию с Miracle. Запись шоу можно увидеть здесь: Часть 1, Часть 2. • 23.00 - 00.30 Москвы, Швеция: "Melodifestivalen", Второй шанс, SVT1, SVT Europa, онлайн. Последними финалистами становятся Helena Paparizou и Linus Svenning. • 23.30 - 01.30 Москвы, Литва: "Eurovizijos atranka", 12е шоу, Выбор исполнителя, LRT1, онлайн, Eurovision.tv. Вилия Матачюнайте побеждает в Литве, исполнит на Евровидении собственную песню "Amazing". • 23.35 - 01.50 Москвы, Эстония, "Eesti Laul", Финал, ETV, online, Eurovision.tv. Таня Михайлова становится победительницей Эстонского отбора с "Amazing". Превращение грубых индустриальных зданий B & W в гигантскую телестудию - непростая задача. Не в последнюю очередь потому, что три основные колонны должны быть сначала удалены - а затем, когда шоу закончится, возвращены обратно. Для того, чтобы зрители смогли ясно видеть сцену, кузнецы в настоящий момент работают над процессом удаления трех центральных колонн между двумя прилегающими друг к другу залами. Две оставшиеся внешние колонны придется усилить и оковать слоями железных прутьев. Балок между колоннами также не будет. Грузоподъемность должна сохраняться во время всего процесса для того, чтобы гарантировать, что вся структура не обрушится. На высоте 20 метров будет встроен "мост" в виде переплетенных решеток длиной около 60 метров, который заменит находящиеся на этом месте в настоящее время три колонны. "Даже несмотря на то, что мы практически добъемся той же самой грузоподъемности путем прокладки поперечного мостика, мы потеряем в статике. Гигантские оловянные стены залов не настолько стабильны по своей длине, и потому потом нам придется вернуть колонны обратно"
После окончания шоу, у Host City Copenhagen будет еще две недели для того, чтобы восстановить обратно колонны в залах и привести их в обычное состояние. До Евровидения помещения использовались как склад для Королевского Театра, пэйнтбольная площадка и маршрут для скалолазания на потолке. Оказалось, что удаление трех колонн обойдется на 10 миллионов крон дороже, чем это было запланировано первоначально. "После тщательного изучения ситуации и соотнесения ее с требованиями телеканала DR по грузоподъемности крыши здания, на которую должны быть прикреплены звуковое и световое оборудование, а также камеры, стало ясным, что потребуется значительно более мощное усиление структуры, поскольку DR не согласилась уменьшить свои запросы на количество необходимого оборудования", говорится в заявлении Host City Copenhagen. Колонны - не единственная техническая сложность связанная с проектом. Среди них также: отопление, прокладка интернета, логистика и транспорт. Оказалось, что залы намного сложнее отапливаются, чем было расчитано первоначально. "Будет довольно сложно обеспечить в них необходимую температуру, поэтому до того, как на шоу прибудет публика, вероятно внутри них будет несколько прохладно", говорит Панкоке. В дополнение к залам, вокруг них будут располагаться тенты общей площадью в 16 тыс. кв.м. примерно равной площади залов. Тенты будут использованы для прессы, гримерок, гардероба, столовой и т.д. Поэтому генераторы около здания должны будут обеспечить подачу энергии в 11MW для того, чтобы гарантировать работу звукового и светового оборудования, а также баров и ресторанов. • 01.30 Москвы, Ирландия, Late Late Show Eurosong Special, RTE1, Eurovision.tv. Can-linn featuring Kasey Smith представят Ирландию с песней Heartbeat. • По нашей информации, победительницей азербайджанского национального отбора Böyük səhnə стала певица Диляра Кязимова (экс-Unformal, экс-Milk&Kisses). В зале присутствовали и Димитрис Контопулос и Стефан Ёрн, поэтому сказать кто станет автором ее песни для Евровидения пока сложно. • Представители Беларуси Тео провел "Cheesecake" вечеринку и встретился с бывшей солисткой t.A.T.u. Юлией Волковой. • Объявлен полный список участников Словенского отбора EMA. • Новый исполнитель, выбранный при помощи платформы BBC Introducing представит Великобританию. • Объявлены проценты телеголсования в испанском отборе. Первоначально планировалось, что уже в феврале 2013 года в Копенгагене будет запущена велосипедная дорожка из Нюхавна в Клёвермаркен. Если бы мосты Индерхавнсброен (велосипедно-пешеходный мост над внутренней гаванью от Нюхавна до Кристиансхауна), Трангравсброен (над каналом Трангравен в Кристиансхауне) и Провиантброен (над каналом Фредриксхольм) уже функционировали - это бы сделало задачу передвижения с Нюхавна до Рефсхалеюн значительно легче, и помогло разрешить транспортную проблему Евровидения. Однако, сначала оказалось, что пирсы были сделаны на 60 см выше чем надо, и проект пришлось отложить до октября. Потом была обнаружена большая проблема с качество стали, поставляемой из Испании, и проект был снова отложен - до декабря 2013. Но банкротство основного подрядчика Pihl & Søn нанесло ему еще более серьезный удар, и теперь все мосты могут быть завершены только лишь к декабрю 2014 года. Все эти отсрочки обходятся в кругленькие суммы копенгагенским налогоплательщикам. Несмотря на то, что мэрия уже вложила в проект 60.7 млн крон, Технический совет запросил выделить в марте дополнительные 66 млн. Похоже, что тщательные финансовые подсчеты будущих затрат по строительным проектам отнюдь не являются сильной стороной города Копенгагена. Мэрия все еще надеется, что все мосты будут завершены к началу следующего года, а главный из них - Индерхавнсброен - уже в июле 2014, но помочь каким либо образом Евровидению они, увы, уже не смогут. Сегодня траспортная компания Movia объявила о том, что из-за ремонтных работ на Квестхусброене, остановка водного автобуса 991/992 на Нюхавне будет закрыта с марта по июнь. Это еще один удар для тех, кто бы хотел добраться до острова Евровидения, ведь вместо Нюхавна, людям, направляющимся на Рефсхалеюн, теперь рекомендовано садиться на Нордре Толдбод или на Королевской Библиотеке. Однако, маршрут 993 будет использоваться как дополнительный шаттл и будет отбывать с южной стороны Нюхавна (возле вышеупомянутого Индерхавнсброена) к Оперному театру, где пассажиры смогут пересесть на маршрут 991/992. Вероятнее всего, эта же остановка на южной части Нюхавна будет использоваться и для шаттл-басов на Рефсхалеюн во время вечеров Евровидения, поскольку планируется что большой объем траффика на и с шоу будет проходить через Нюхавн, где также располагается конец "Фан Мили Евровидения". Пока точные изменения в движении траспорта на время Евровидения еще не определено. • 23.00 Москвы, Израиль, Way To Copenhagen, презентация песен, IBA1, онлайн. Видеоклипы на три участвующие песни можно увидеть здесь. Всю программу в записи можно увидеть здесь. • 01.10 Москвы, Германия, Club Concert, выбор Wildcard, NDR, EinsPlus, онлайн. Обладательницей Wildcard стала группа Elaiza. • Мальтийская группа Firelight записывает новую версию своей песни и снимает видеоклип. • MelfestRobotGate - скандал с автоматизированным голосованием в Швеции. • Презентация песен греческого отбора пройдет 4го марта в 13.30 и 21.30 Москвы. • Презентация Британской песни пройдет в понедельник в 23.25 Москвы на BBC Red Button. • Teo (Беларусь) завершил съемки своей открытки для Евровидения. • Состоялась жеребьевка порядка выступлений в молдавских полуфиналах. Наше следующее интервью пришло из Македонии, где Тияна Дапчевич только что представила свою конкурсную песню "To The Sky". "Телеканал МРТ выбрал меня и пригласил представить Македонию в Копенгагене, что я немедленно приняла. Я очень довольна и для меня это - большая честь"
"потому что у нее есть энергия, красивый месседж, любовь, виолончель... Эта песня отражает меня, с какой-то стороны. Я и Дарко сотрудничаем уже много лет, и я поверила в его выбор с того самого момента, как он рассказал мне о песне. Когда я услышала ее, это было всё - я больше не хотела слушать никакие другие варианты. Я поверила в эту песню, и чувствую себя очень уверенно исполняя ее". "План заключается в том, чтобы сделать на сцене хорошую вечеринку, и показать зрителям, что ты действительно можешь подняться к небу и добиться всего, что ты хочешь. Любовь и энергия помогает свершиться всем желаниям. На сцене со мной выступит мая сестра Тамара в качестве бэк-вокалистки. Тамара уже дважды была на сцене Евровидения и ее совет ко мне, просто быть самой собой, потому что первое, что я замечу и испытаю в эти дни - это позитивную энергию приходящую отовсюду"
В настоящее время Тияна занята съемками видеоклипа на песню и говорит: "помимо того, частью моей подготовки станет инновационный подход, интересный промо-материал и я также посещу несколько европейских стран в рамках своего промо-тура"
"Промо-тур не является определяющим фактором для успеха на конкурсе, но очень важно иметь шанс встретиться с твоими поклонниками и всеми теми, кто поддерживает тебя. Интернет связывает нас и стирает между нами географические границы. Даже если бы я посетила все страны Европы, я бы не смогла пообщаться со своими поклонниками так тесно, как я могу в интернете. С другой стороны, ничто в виртуальном мире не заменит потрясающего чувства пребывания вместе с твоими поклонниками, лично. И потому очень хорошо совмещать эти два способа, как и будем мы делать". Ее цель на Евровидении - "сделать так, чтобы все кто верит в меня гордились собой. Я постараюсь заставить Европу поверить в свою энергию также сильно, как я верю в нее сама. И все начинается с этого". Будучи большой поклонницей конкурса, Тияна следит за всеми его новостями и выбранными участниками. "Я не могу выбрать кого-то одного на данный момент, потому что множество стран еще до сих пор не выбрали своих представителей, и было бы нечестно по отношению к ним выделять кого-то именно сейчас". "Музыка, в целом, является моим стилем. Я родилась с музыкой, поскольку мои родители оба являются музыкантами, я получила образование по игре на виолончели, и я выросла с музыкой. Я не могу выбрать только один стиль. Я думаю, что больше всего на меня повлияло (и до сих пор влияет) классическая музыка. Она подкармливает твою душу, и придает ей спокойствие и позитивную энергию. И именно в таком состоянии рождается творчество. Когда я была моложе, я принимала участие во многих конкурсах, где играла на виолончели. Я была участницей одного из самых популярных симфонических оркестров в Лейпциге. Позднее, я принимала участие (и побеждала) на многих региональных фестивалях. Конкурсы - это хорошо, они заставляют тебя мыслить вне рамок"
"Просто верьте в себя и вы сможете достичь неба"
Для того, чтобы все было готово для трех шоу Евровидения телекомпания DR и Танцевальная школа Frederiksberg приглашают певцов и танцоров, чтобы стать дублерами участников Евровидения во время первых репетиций на Рефсахалеюне. "Мы будем работать с дублерами, чтобы обеспечить полную готовность камер, звукового и светового оборудования к приезду в Копенгаген самих участников конкурса", говорит Маттиас Карлссон, сценический режиссер конкурса. Заинтересованные исполнители могут подавать заявки до 28 февраля на e-mail kimeurovision@gmail.com с фотографией и кратким резюме в области пения или танцев. Живые прослушивания кандидатов пройдут 3го марта. С 17 марта по 9 апреля отобранные дублеры будут проходить подготовительный курс, репетируя по 3 часа 1-2 раза в неделю с понедельника по пятницы между 10.00 и 16.00. Сценические репетиции пройдут с 14 по 17 апреля. Ранее, было объявлено о том, что примерно половина дублеров Евровидения 2014 вновь будет приглашена из Швеции. • Donatan - Cleo подтверждены в качестве представителей Польши на Евровидении 2014. TVP рассматривает создание двуязычной версии песни. • Teo (Беларусь) приглашает Cheesecake вечеринку, начинает съемки открытки для Евровидения. • Греческий национальный финал назначен на 11 марта. • Объявлены названия песен и расписание эфиров с вайлдкард отбора - Клубного концерта в Германии. Правовое исследование, заказанное мэрией города Копенгагена определило, что подготовку B&W Hallerne к Евровидению нельзя оценивать как государственную помощь. Мы уже сообщали ранее, что согласно мнению других экспертов, правительственная финансовая помощь реконструкции залов создает незаконную конкуренцию их с другими концертными площадками в Копенгагене. Однако, правовая контора, нанятая финансовым коммитетом муниципалитета расценила это иначе, заявив, что не видит каких либо нарушений датского или европейского законодательства. Они обратили свое внимание на то, что Залам не будет добавлено никакой постоянной ценности. Предполагается, что территория конкурса должна будет быть возвращена владельцам в том же состоянии, как была получена от них. "Мне очень сложно понять, как те работы, которые сейчас там проводятся, не составят никакой ценности в будущем, по тому как это оценила данная правовая компания", говорит член финансового коммитета и представитель партии Либеральный Альянс Ларс Берг Дюхолм. Если будет доказано, что все-таки владельцы залов получили увеличение ценности их сооружений, то Компания по Недвижимости Рефсхалеюна должна будет полностью компенсировать эти государственные затраты. Представители других копенгагенских концертных площадок, включая Parken и Forum, в интервью с газетой Berlingske поприветствовали B&W Hallerne как новую концертную площадку, отметив при этом, что не видят с ней конкуренции, поскольку в ней могут проводиться иные виды мероприятий, чем у них. Сегодня муниципалитет Копенгагена выделил дополнительные 9.665 млн крон на организацию Евровидения, несмотря на возмущение со стороны оппозиционных партий (Либеральный Альянс проголосовал против, а Консерваторы воздержались). 4.34 млн - это 1/3 от непредвиденных расходов, разделенных между Копенгагеном, Столичным регионом и компанией Wonderful Copenhagen, 4.4 млн - это счет за разрешение перестройки зданий, и 0.925 млн - это требование от городских инженерных и экологических комитетов на очистку улиц и развязку транспорта. Мы продолжаем серию наших интервью беседой с представительницей Албании Херси Матмуйя. "Победа на FiK и участие в Евровидении ворвались в мою жизнь как метеорит. Неожиданно, это изменило все. Я очень долго об этом мечтала, поэтому мне потребовались дни, чтобы понять, что это стало реальностью. Я была в таком оцепенинии, что практически не помню происходившего". Она описывает свою конкурсную песню "Zemërimi i një nate" как "Внутренний мир, при том, что все остальное - просто наружний шум". Это была 5я попытка Херси на Festivali i Kenges. Певица считает, что опыт, накопленный за годы прошлых участий, и помог ей в этом году добиться победы. Она сразу планировала во второй раз сотрудничать с композитором Генти Лако, после того, как их песня за год до этого заняла третье место в финале. "Мне нужна была песня, которую бы я могла полюбить и поверить в нее. Если мы бы не смогли сделать хорошую песню, то в этом году я бы не участвовала. К счастью, на Генти нашло вдохновение, и Zemerimi i nje nate дала мне все, что мне было нужно! Когда я услышала ее демо-версию в студии композитора, я немедленно расплакалась. Потом автор текста адаптировал его, дав песне смысл, месседж, который я могу передать всем слушателям." Песня, конечно же, претерпела определенные изменения по сравнению с версией исполненной на отборе - она была укорочена на 30 секунд, и на нее была сделана новая аранжировка. Также была записана и английская версия композиции под названием "One night's anger", текст на которую написали Leon Menkshi и Genta Hodo, и который является адаптацией албанского текста, сохраняя тот же самый смысл. Однако, решения на каком языке песня будет исполняться в Копенгагене пока не принято. Команда также в настоящее время работает над итальянской версией, а сама Херси хотела бы записать ее еще на ряде языков, например испанском или французском. "Я думаю, что у нас будут бэк-вокалисты, и несколько инструменталистов, но мы хотим сохранить выступление простым, визуально чистым. Я хочу, чтобы песню скорее не смотрели, а слушали. Но пока нам еще предстоит о многом обдумать"
Представительница Албании говорит, что слышала уже все песни, выбранные на текущий момент для Евровидения 2014: "Я могу только сказать, что конкурс будет очень сложным в этом году! Пока все хорошо!". Цель Херси на международном финале "представить себя с наилучшей стороны, показать выступление о котором я всегда мечтала. Я не пропускаю никаких шагов в подготовке к конкурсу, делая все возможное в любом направлении. Я верю, что эта страсть и преданность делу должны стать залогом успеха". Певица очень заинтересована в продвижении своей песни в Европе перед конкурсом, в частности в выступлении на Амстердамской вечеринке Eurovision In Concert, говоря "это очень важно, поскольку это самое важное мероприятие, где мы можем исполнить свои песни вживую, пре-шоу того, что мы покажем на сцене в Копенгагене. Я пока не могу ничего сказать о других местах тура, было бы хорошо его провести ради нашей песни, но пока мы еще ничего не утвердили". "Я всегда слушала разные стили музыки, без каких-либо предубеждений, потому что я считаю это способом создания своего оригинального вкуса и артистического стиля. Я до сих пор нахожусь в поиске себя, и потому получаю удовольствие от всех видов музыки, что я пою, я все еще экспериментиру. Я могу лишь сказать, что помимо поп-музыки, я страстно люблю мир классической музыки, ради которого я живу и учусь в консерватории Санта Сесилия в Риме. Я выступаю с классическими музыкальными проектами практически каждую неделю, и получаю огромное от них удовольствие". Херси называет имена Селин Дион, Уитни Хьюстон, Бьорк, Рианну, Этту Джеймс, Билли Холлидея как певцов, оказавших наибольшее влияние на нее. Что же касается ее фестивального опыта, то : "Я дважды принимала участие в Kenga Magjike и один раз в Top Fest, других музыкальных фестивалях в Албании. Больше чем соревновательная часть, мне в фестивалях нравится пробовать другие виды искусства. Например, в Kenga Magjike у меня была танцевальная песня и мне пришлось танцевать под нее, для меня это стало совершенно новым опытом". "Я благодарю всех тех, кто поддерживает и положительно относится ко мне. Никогда не переставайте слушать музыку и поддерживать искусство и артистов, нам всегда необходимо ваше доверие!" С полным интервью на английском языке вы можете познакомиться на нашей странице в Facebook. За ближайшие 10 недель старая верфь Рефсхалеюна превратится в "Остров Евровидения", который посетят 9 раз по 10 тысяч человек на протяжении одной недели в мае. Газета Politiken встретилась с Мортеном Панкоке, начальником отдела операций проектной компании Евровидения 2014. "Parken отозвал заявку, а в DR Byen было бы столько же проблем, как и здесь. Да, эти проблемы довольно весомые, но у нас здесь присутствует и возможность большой свободы в их решении"
Самым сложным вопросом на Рефсхалеюне остается, по его словам, как доставить огромное количество зрителей на остров, связанный с городом только одной узкой дорогой и водой. На эту же проблему указывает и архитектор Йес Вагнбю, который ранее отвечал за проведение таких мега-мероприятий как фестиваль Роскилле, и был приглашен газетой для обсуждения условий на Рефсхалеюне. "Предлагаемая логистика довольно сомнительна. Водный автобус может взять на борт 65 человек, обычный автобус - 50, поэтому количество автобусов и водных автобусов, чтобы перевезти дважды в день по 10 тысяч человек на и с острова должно быть нереально огромным"
Он также указывает на то, что ведущая к острову единственная узкая дорога создает проблему для любых видов транспорта, включая и автобусы. "Все это может привести к огромным задержкам, которые просто недопустимы во время проведения международного телешоу, выходящего в прямом эфире. Его нельзя проводить с пустым залом"
Автобус 9А будет курсировать в виде шаттла с площади Christianshavn Torv, а речные автобусы и канальные лодки - доставлять людей с Нюхавна. Также шаттл-автобусы будут отправляться и от парковки, которая будет расположена на Амагере. "Транспортные вопросы все еще остаются в значительной степени нерешенными. Вчера, например, один из автобусов просто застрял на узкой дороге, ведущей сюда, поэтому нам придется разработать запасные планы B, C, D и E, но я уверен, что мы сможем справиться", говорит Мортен Панкоке. Сложная работа уже началась на территории острова. Запущены асфальторезка, привезены огромные краны. Укладывается новое покрытие на дорогу от остановок автобуса и водного автобуса до зала, а эскаваторы в то же время ровняют территорию, где будут расположены огромные тенты. Дороги перерыты для прокладывания систем канализаций, отопления и оптоволоконных кабелей интернета, а также для того, чтобы освободить большую площадку для стоянок автобусов. Сегодня начнется возведение первых тентов, а вся работа должна быть завершена до конца апреля. В дополнение к удобствам для зрителей - технические работники, артисты, члены делегаций и 1600-1700 представителей прессы также получат собственные столовые, туалеты и доступ в интернет в тентовой зоне, размером примерно в 15 тысяч кв.м, расположенной за залами. Эта информация противоречит первоначальным заявочным документам, гласившим, что пресс-центр будет располагаться в здании B&W Grand Ballroom, что уже подвергалось сомнению, поскольку в нем запланированы 2 масштабных трибьют-концерта с участием бывших представителей Дании на Евровидении, которые пройдут 2 и 3 мая. Также будет построен ресторан, который будет вмещать 1500 гостей, и более мелкие бары, и небольшая сцена для музыки, которые позволят справиться с важнейшей задачей, избежать одновременного приезда и отбытия гостей на остров.